The Browning Black Label Wihongi Signature Attachment is a manual folding knife for everyday carry. Show this cool new tool off to your friends. 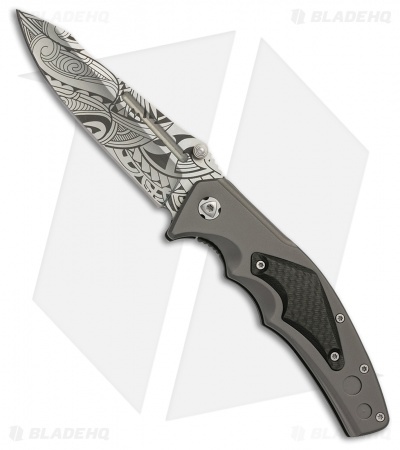 7Cr17MoV stainless steel, drop point blade with Maori warrior tribal motif artwork. Gray finish, aircraft aluminum handle with interchangeable handle inserts. Inserts are either black or gray G-10, or black carbon fiber. Frame lock structure and comes with pocket clip.